The Greek island of Lesbos has become a giant migrant holding center, with arrivals at the Moria migrant camp facing bleak living conditions, disease, the threat of violence and bureaucratic red tape. Sputnik traveled to Lesbos to speak to officials, residents and migrants themselves in this telling microcosm of a much broader European problem. MOSCOW (Sputnik) - A group of extremists threw rocks and flares at journalists who were covering a visit of Greek Prime Minister Alexis Tsipras, and several key ministers, and at police, who were guarding the officials on the eastern Aegean island of Lesbos, The Kathimerini news outlet reported on Friday. 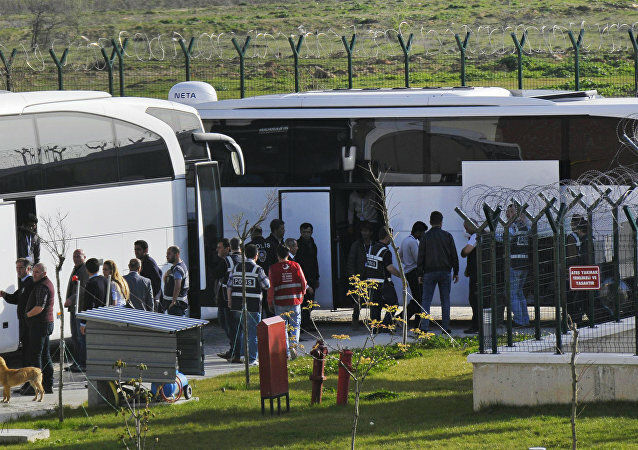 MOSCOW (Sputnik) - A total of 160 illegal migrants have been held in Turkey’s northwestern province of Canakkale, the Anadolu news agency reported on Saturday, adding that six others were charged with human trafficking. Migrants, most of whom are Afghans, took to the main square of the city of Mytilene on the Greek island of Lesbos on Wednesday, demanding for improved living conditions and transport to European countries. 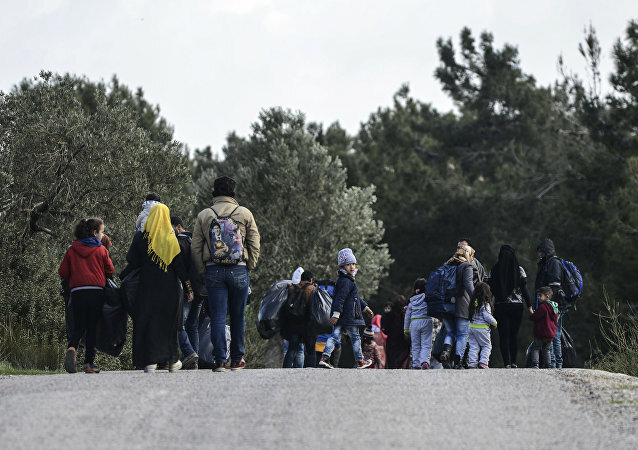 Violent clashes and fire broke out at a reception and identification center for refugees on the Greek island of Lesbos, local media reported. The Greek island of Lesbos, and the nearby Turkish coast, has been hit by an earthquake measuring 6.3. One woman died and many houses were destroyed. A magnitude 6.1 earthquake on Monday rocked the Greek island of Lesbos, which is located near the coast of Turkey in the Aegean Sea, destroying several buildings, a Sputnik correspondent reported. A total of 90 migrants arrived on the Greek Lesbos Island in the past 48 hours, while one more migrant reached the Chios Island, local media reported Thursday, citing authorities. Unlike most refugees fleeing war-torn Syria, 23-year-old Omar Alshakal took the route less traveled by many. Embarking on the most dangerous journey of all, Omar swam from Turkey to Lesbos in Greece. When he arrived, after seeing how badly NGOs were dealing with refugees, he decided to establish his own charity to help migrants in crisis. A protest march is taking place in Athens, Greece in memory of three refugees who died in cramped, cold and overcrowded conditions in a migrant camp on the island of Lesbos. Freezing and "inhumane" conditions on Greek island migrant camps have been blamed on the EU's attempts to stem the flow of migrants crossing from Turkey into Europe across the Aegean Sea and West Balkan routes, as an investigation continues into three deaths. The European Commissioner for Migrants and Home Affairs, Dimitris Avramopoulos, has called for more solidarity from the EU's member states to help Greece with the refugee crisis. 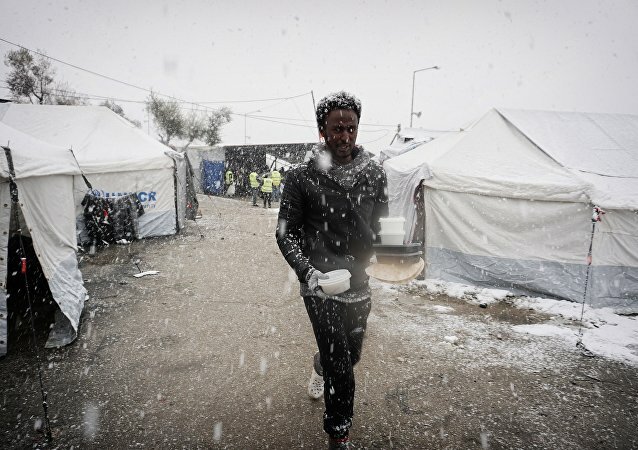 Snow falls on the migrant camps in Greece, where canvas tents buckle under the conditions described as "untenable" by European Commission (EC) spokesperson, Natasha Bertaud. Footage has emerged from the island of Lesbos, showing migrants living in harsh winter weather conditions without any heat. 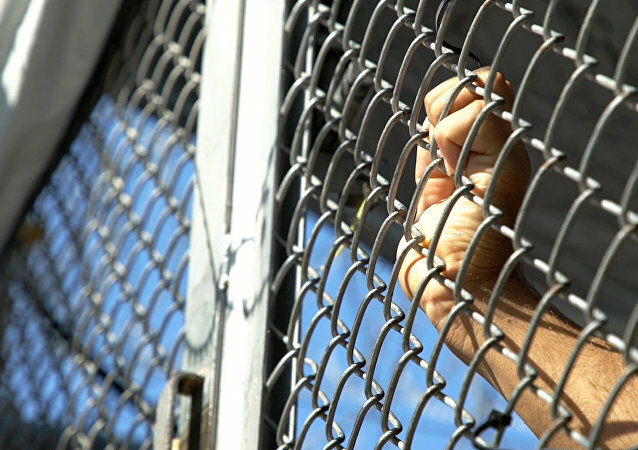 Asylum Service employees were forced to leave their offices at Moria refugee camp on the Greek island of Lesbos, which were set on fire during the protest of refugees, according to local media. Greece's merchant marine ministry said the ships are needed to satisfy an “immediate and urgent need to host, cater and perhaps transfer” at least 1,000 people displaced after the Moria refugee camp on the island of Lesbos was destroyed by fire. 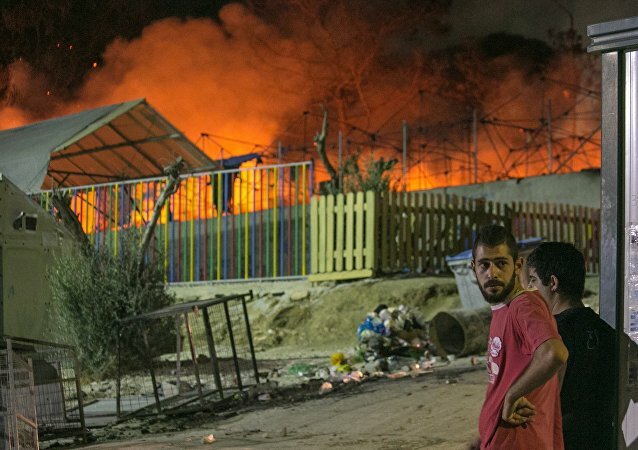 The majority of refugees have already returned to Moria refugee camp on the Greek island of Lesbos after fire was extinguished, with repair works in the camp currently underway, the Office of the Spokesperson of the Coordinating Body for the Refugee Crisis Management told Sputnik on Tuesday. 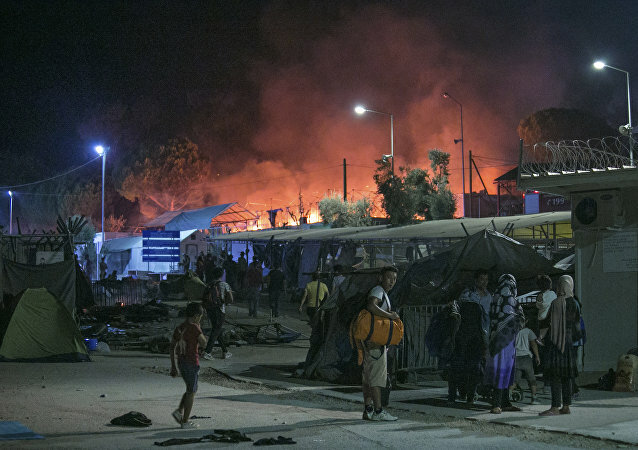 Municipality of Lesbos numerous times informed the Greek government on a difficult and dangerous situation in overcrowded Moria refugee camp that recently suffered a fire, the press office of the mayor of Lesbos told Sputnik on Tuesday.